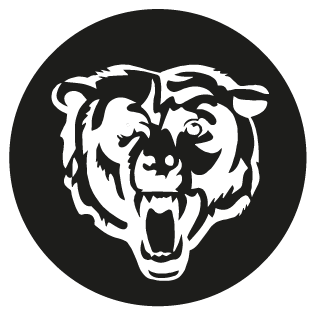 The ethos of the Bears is to create a setting for local individuals to have a club where they can play competitive sport in a high level competition as well as providing a place for local disabled people to come together and offer advice, support and share experiences. The Bears also organise their own fundraising activities; such as Bag Packing events, demonstrations, school taster sessions to name a few. All money raised by the club goes towards sports hall hire, purchase of specialised wheelchairs, kit and other equipment used in the running of the sport. No salaries are paid to any management members and limited amounts are spent on administration and expenses. All management members are volunteers and give their time freely. The team also meet up regularly away from the basketball court on social occasions, giving a chance for members to get to know each other better. We believe this is a fundamental aspect as, by doing so, the team performs better together. As well as meeting for a drink after training, we also try to have an annual Christmas party for all members as well as an Awards night to celebrate achievements for the season. "I joined the bears in 2005 after being persuaded by Tom to attend a training session in Solihull. I immediately felt a part of the team and this has allowed me to not only progress as a player, but also as an important role within the management of the team. The family spirit has always meant I have and will always have full loyalty to The Bears- a team I feel I can have a long and successful future with. ‘Once a Bear, always a Bear!’"
‘The Bears’ were first formed by Mark Butler and Tom Masterson in 2002. The Bears are involved with the community of Warwickshire catchment, and its surrounding areas. We feel that it is important to set solid links at grass root level, schools and colleges. The Bears host many taster sessions; we provide children with the opportunity to try wheelchair basketball, as well as encourage them to overcome adversity, break down prejudices, and furthermore, educate them more about disabilities in the process. The Bears also help in the setting up and running of local satellite clubs that are run after school. We are all set up and ready for a busy Sunday at Sainsbury's Dorridge! Come along and say hello, support the team and help us to raise money! The Bears will be chatting with the community and handing out flyers and stickers all day. We are back again at Warwickshire College today for our Junior and Development training sessions! Each year the Bears have their annual awards ceremony, held during the annual AGM, where players are awarded trophies for their contribution to the team for the previous season. The awards are named after previous players who sadly, passed away, during their time at the club. We feel this is a way of recognising their contribution and presence, ensuring that those who are no longer with us remain an important part of a day to day club life. The Amanda Tinline Award – Women’s player of the Season. The Bears have also had the pleasure, on several occasions, to accept awards in recognition of individuals within the team as well as the team as a whole. These awards have ranged from recognition of individual ability in the sport to the work done by the teams in the community, all of which we are extremely proud of. Individuals within our teams are also recognised for their ability independently from the club, in events that range from local awards ceremonies to international competitions.